African Elephant (Loxodonta africana) family with tiny baby, grazing and throwing sand, Amboseli N.P. Kenya. 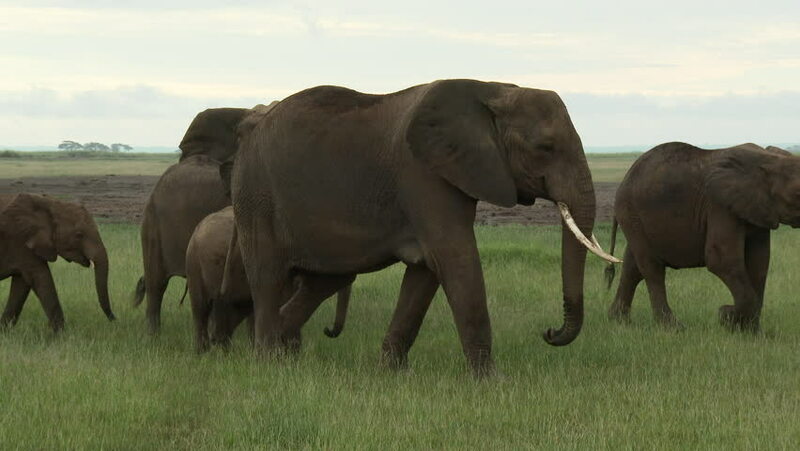 4k00:15Family of African Elephant (Loxodonta africana) walking together through the grasslands, Bull following them Amboseli N.P. Kenya. 4k00:16African Elephant (Loxodonta africana) baby's smelling with trunk while following their family , Amboseli N.P. Kenya.